How easy is it to learn to row the Oar Board®? Most people get the row stroke down in minutes. An SUP is quite stable which makes it very easy to learn to row. Watch our online “How to Row the Oar Board®” video and you will see that you can become proficient at sculling very quickly. Can I put the Oar Board® on any SUP? The Oar Board® can be attached to hard and inflatable SUPs. We do recommend that they be at least 10 feet long to get the balance right. Other than that, pop it on and off you go! Can I put the Oar Board® on an Inflatable? Inflatable SUPs have many advantages over hard body ones. The main one is how well they can handle bumping up on beaches or hitting hard objects like rocks or being dinged by paddle blades without substantial damage. Another advantage is how small they are when deflated and rolled up inside their backpack. The weight of an inflatable is about the same as an average hard board. The downside is they are not quite as crisp as a hard board. Overall though, for recreational rowing or adventure travel an inflatable is the top choice. The ‘Oar Board®’ line of inflatable SUPs featuring the Fitness Row 12, the Adventure Row 13’4″ , and the Adventure Row 16 are especially designed for heavy-duty use and are equipped with special deck rings that make installing the Oar Board® super easy and the straps do not have to go around the board itself. Are the oars included in the price of the Oar Board®? Only when purchasing one of the Oar Board®/SUP/Oars combo packages. Sculling oars are priced separately as many rowers already have sculling oars. Our custom carbon fiber 2-part sculling oars are much easier to store and transport and perform perfectly. Is any board modification required? No, however, the Oar Board® works best on boards with a flush deck. Most rowers prefer Paddle Boards with a width of 30” or more for added stability. For boards with recessed decks ask about our adaptor fittings. We are happy to advise on the suitability of any paddleboard if you email or call with the brand name and length or even better email a link. How much time does it take to install and remove? The unit installs in less than 5 minutes and can be removed in 2 minutes. See our set up video. How does a sliding rigger work compared to a sliding seat? 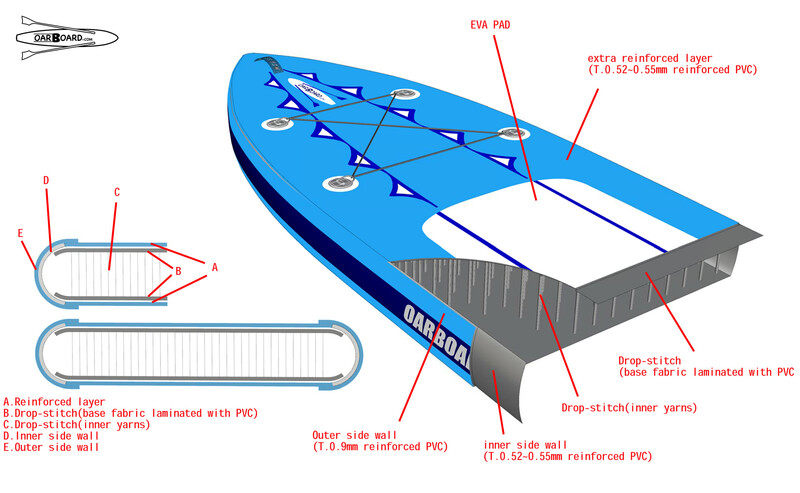 The Oar Board® features a sliding rigger system. The seat is fixed and does not move. The rigger and footstop are mounted on a special carriage, which slides. The rower grips the oar handles in exactly the same way as a regular slide seat boat and the stroke is identical. This system avoids the full weight of the rower sliding back and forth with every stroke so there is no pitching or hobby horsing. The sliding rigger concept was originally developed over 50 years ago. It was significantly faster than a sliding seat when used in a racing shell because with little to no pitching the glide between strokes was smoother and speed is maintained. As it was quite a lot faster it was subsequently outlawed from competitive racing in the 1988 Olympic rowing event. It quickly fell out of favour. Lucky for us it works perfectly as a way to convert a stand up paddle board into a single or even a double person sculling boat. The Oar Board® features adjustable footstops that provide perfect ergonomics for any sized person. Why is it a sliding rigger set up instead of a sliding seat? With a sliding seat the rower’s weight slips back and forth with each stroke. With a sliding rigger the rower’s weight remains virtually stationary. This means that on a relatively short Stand Up Paddle Board pitching or “hobby horsing” is eliminated with a fixed seat/sliding rigger. The stroke itself is the exact same coordinated motion as the sliding seat stroke. It takes only a few strokes to get used to a sliding rigger and it is very smooth. How tall or short must a person be to row the Oar Board®? The Oar Board® features a fully adjustable foot stop making it a perfect fit for any sized person and totally suitable for the shortest to the tallest of rowers. Watch the Oar Board® set up video. How is the Oar Board® attached to a Paddle Board? Super fast and super easy. Stainless steel Kwik Lok® buckles secure a pair of 2″ webbing straps that simply go around the SUP. They are very thin and cause no noticeable drag when rowing. They set up in seconds. Four high-density neoprene compression pads mounted on the each of the Oar Board®‘s underside corners grip the deck acting like suction cups when the straps are tight, while protecting the deck surface. The new inflatable SUPs the Fitness Row 12, the Adventure Row 13’4″ and the Adventure Row 16 feature special deck rings for attaching the straps which makes the Oar Board®s even easier to install or remove. See the Oar Board®s set up video on this easy step. 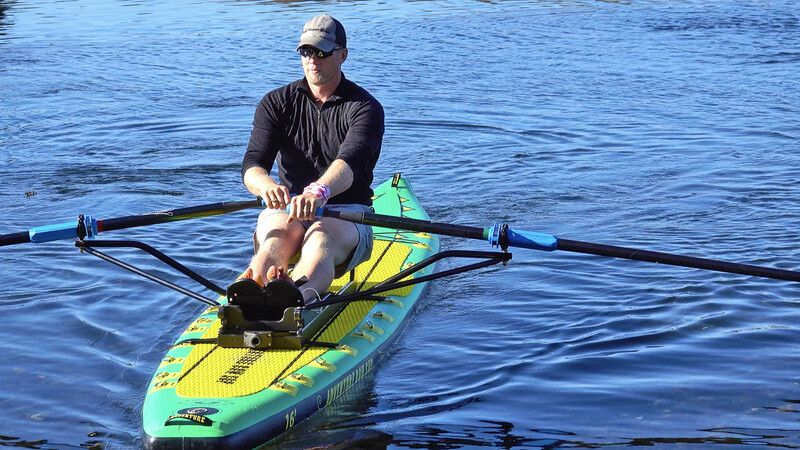 How does the Oar Board® attach to the Adventure Row and Fitness Row SUP? What is drop stitch construction on an Inflatable SUP? A huge breakthrough in the construction of inflatable SUPs came a few years ago with the innovation of ‘drop stitch’ construction. On the inside of almost all inflatable SUPs are hundreds of tiny strings spaced a centimeter or so apart, that run from the deck to the bottom of the board. When the board is partially inflated to about 4 lbs pressure these stretch proof strings get tight, making the board extra rigid. At 15 lbs pressure they are fully inflated and are extremely rigid, ideal for rowing or paddling. How hard is it to pump up your inflatable paddle board? Click here for full written instructions and a video for How To Inflate Your Adventure or Fitness Row SUP. How do I install my fin on my Adventure or Fitness Row SUP? Here’s a quick 47-second video to demonstrate how easy it is to install the fin on your new Adventure or Fitness Row SUP. How do I assemble my two part oars? Click here for full written instructions and a video for How To Assemble Your Two Part Oars. How to pack your rowing gear in the Oar Board® Travel Bag. How to strap your Adventure Row paddle board to your vehicle using KanuLock straps. 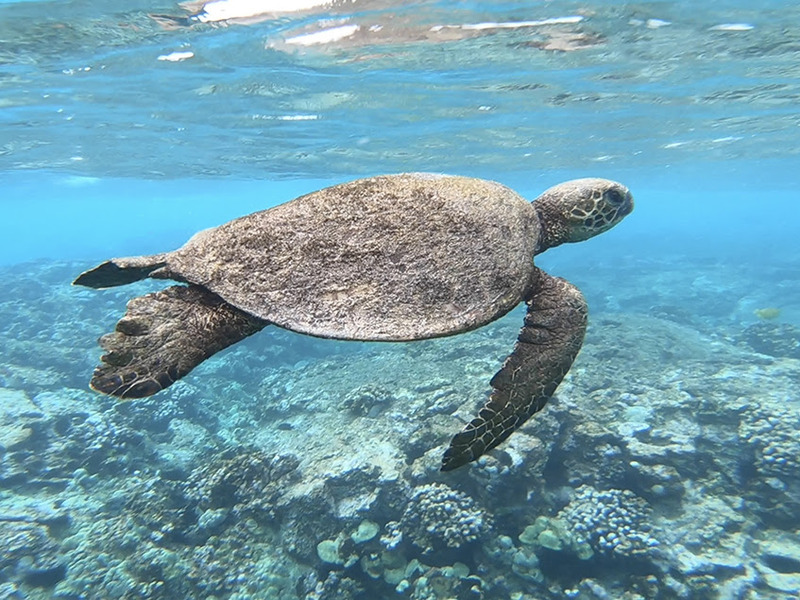 How is the Oar Board® constructed and can it be used in salt water? The Oar Board® is constructed using non-corrosive material specifically and built for salt water. It features an ultra-tough black polymer plastic frame, carriage, foot stretcher and seat with powder coated marine-grade aluminum outriggers and struts with stainless steel and nylon insulation fittings. These marine-grade materials mean the unit requires nothing more than hosing off to keep any grit off your tracks wash away any salt and keep it a clean looking machine. What about storage and handling issues? The sliding rigger carriage is instantly removable and can be further disassembled by removing and compressing the outriggers arms. It completely disassembles back to its compact shipping size in just a few minutes. The Travel Bag can hold the compacted Oar Board® plus the two-part scull oars and a paddle as well. Perfect for flying off to your favorite rowing and paddling destination. Our in-house line of inflatable SUPs called the Fitness Row 12, the Adventure Row 13’4″ and the Adventure Row 16 are also available. Like all inflatable SUPs when deflated they roll up and fit into a backpack. This makes them also ideal for storage or transport. Inflatable SUPs are about the same weight as a hard body paddle board but can handle bumping up on beaches or hitting hard objects like rocks or being dinged by paddle blades without sustaining damage. See the Setup Video below. Also check out our Oar Board® travel bags and SUP Dolly for more storage and handling ideas. Do I need to wear a Personal Flotation Device? Wearing a Personal Flotation Device (PFD) is a personal responsibility. The laws regarding wearing PFDs vary from country to country. For rowers and standup paddlers, the most suitable type of PFD is the inflatable belt type that is ultra light and super comfortable. Most importantly the belt type of PFD does not interfere with the oar stroke or paddle stroke. So don’t be surprised if well-meaning people ask, “Where’s your lifejacket?”, as these belt type PFDs are sleek, small and hard to see. The old-fashioned vest type can still be used, however many people find this type too bulky and uncomfortably hot to wear in warm weather. If I capsize how easy is it to re-right and get back aboard the Oar Board® and SUP? This is very easy and below is a video that demonstrates how this can be done.